If you Google yoga and depression you will find many articles about how yoga can decrease depression. Yoga is a safe way to cope with depression, but I do not think that it can cure depression. It may not be the best coping mechanism for you, but many researchers use exaggerated conclusions as a tactic to promote their theory or part of their research paper in order to strengthen their reputations. Social media has changed the way people can access information, and this generation is so connected to technology that it is easier for people to push their ideas to the general public, no matter how crazy their ideas may appear from a scientific perspective. Unfortunately, the general public includes people who are not well versed in certain disciplines, including depression and other mental disorders. I do not discredit professionals’ theories about mental disorders, but some professionals take advantage of the uneducated population, especially people who suffer from a mental disorder, such as depression. I believe that the biggest mistake that a person who suffers from mental disorder can do is self-medicate without supervision. Many of the articles that are available on the Internet will not disclose the importance of seeking professional help, the importance medication, and the value of conventional cognitive behavioral treatment. For writers who stress the importance of medication and behavioral management, I commend you for not taking advantage your audience. 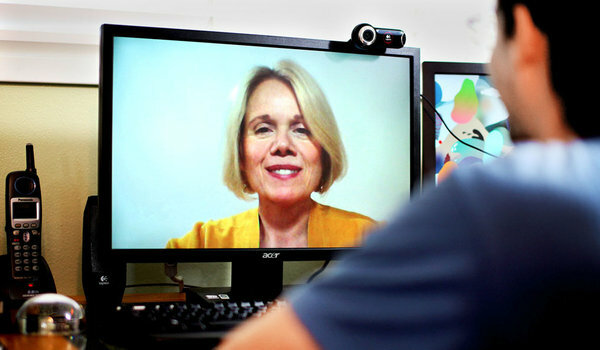 Tele-therapy is becoming very popular, including web-based therapy iin particular. Rick Nauert’s article, Tele-therapy Helps with Depression states that 77 percent of individuals report that they “feel better”, for a lack of better term, after using tele-therapy (2007). The key word is "reported". Gathering information from clients or test subjects is a popular way of to get data. In simple terms, this poll data serves as evidence for some researchers to justify their theories, but people are fickle, and a quick survey may not reveal the deeper mechanisms responsible for their positive responses. I always believe that face-to-face therapy is the best way to start the process of overcoming depression. Tele-therapy may be effective, but can give the individual a false sense of hope. A person can’t be cured from depression the same way an individual can be cured from crabs, immediately. Yet, psychologists will use this type of evidence to prove that tele-therapy works for everyone. Technology is vital part of everyday life, even for me. However, technology can’t cure depression - Not yet. Bipolar and schizophrenia, a type of major depression disorder, requires specialized treatment, including proper case management. Tele-therapy may work for some people. But, it can be misconstrued as “fast food therapy”. Therapy is neither a joke nor something that should be taking lightly. If you chose to read articles that give advice as to how to overcome depression, don’t read the articles looking for one solution to your problem. After this blog is posted, many psychologists may say, what do I know about treatment, since I don’t have a Ph.D? Furthermore, they may say, how can you speak so negatively about licensed professionals who write about advance treatments using technology? I know that I am not a licensed professional, but, I have worked with individuals with from all backgrounds enough to understand how easy it is for some small groups of people to take advantage of others. I have always believed that honesty is the best policy, and having compassion is very important when working with people who have mental disorders. To put this in context, many articles may suggest coping mechanisms to help individuals. But, you rarely find articles that address people from low socio-economic backgrounds. For these people, medication prescribed from a doctor from a free clinic. It is my duty as a well-educated individual to strive to inform people on the best way to cope with depression according to my perspective. Technology is great, but people can abuse the advantages of technology. If anything, licensed professionals should use technology to inform the public more about the best ways to cope with depression, and to inform individuals about to get inexpensive treatment. Psychology is a respectable profession, and should not be discredited by individuals who are looking to make a quick buck through either distorting research data and drawing premature conclusions or through using less effective forms of therapy such as Skype-based sessions. Give them the best - A real one-on-one session that is backed by evidence based practices. Nauert, R., (22 March 2007). Tele-Therapy Helps with Depression. PsychCentral. Retrieved January 27, 2015.